My friend Warren recently asked me if I knew any good tofu recipes that his daughter would actually eat (she’s an alleged supertaster, and often a picky eater as a result). Tofu is one of those things that gets a bad rep just on name alone; the name has come to stand for anything fringe and extreme. When I was a kid, my friends didn’t want to come over to dinner at my house because they thought they would have to eat “tofu.” But even my mother refused to let tofu into the house. It wasn’t until years later that I learned to enjoy it. I never understood tofu until I went to Japan. There, I watched Eve (four years old at the time) eat a silky cube of tofu and soy sauce with a spoon like pudding. Now, little cubes of tofu in miso soup are a family favorite. But hmmm…what to make for an American teen who’s never been to Japan? The texture alone is enough to make most American kids freak out. So here’s what I recommend: make it crispy! This recipe is easy to make, and you can flavor it in all different ways…eat it plain, add tomato sauce, make a sweet dipping sauce, serve it as croutons in salad! This is your basic kid- and queasy-adult-friendly tofu recipe that will get anyone’s taste for tofu up and running. And remember…always buy ORGANIC tofu. Don’t even bother with nonorganic tofu, because it’s made with GMO soybeans, which cause everything from organ failure to accelerated aging (which your teens might want, but you don’t). 1. Take the tofu out of the package, and press any liquid out of it. 2. Slice it into cubes. Bigger cubes take longer to cook. Tiny cubes cook more quickly. 3. Coat in olive oil. 4. Chop the garlic and toss into the tofu and olive oil. 5. You can either sauté the tofu in a pan on top of the stove or bake it in the oven. Sautéing it on high heat gets it crispy in about 10 minutes. Baking it at about 350°F can take up to a half hour, depending on the size of the cubes. Experiment! Enjoy! I like to add chili peppers, but then my kids won’t eat it. This also makes a great snack when you want something that feels like all carbs but isn’t. It’s full of protein! My daughter-in-law is a vegan. I continue to pass up tofu at her table, with or without jalpeno . Have you tried tofu cheese? Don’t bother. 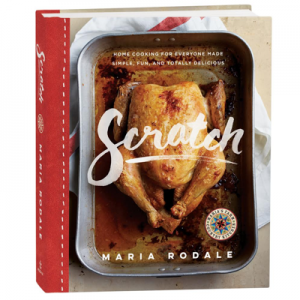 Maria, I was so glad to see your recipe — looks delicious. Tofu is adored in my home, and there are very few young guests that don’t like it once they give it a chance. Tofu is really like a sponge; it can absorb flavors and is extremely versatile – it can taste like anything. •	Weigh down the wrapped tofu with a few heavy cook-books (or any other heavy object you can find in the kitchen) for 30 minutes. After this prep the dish cloth will be soaked, and the tofu will be dry and ready to absorb flavor. I also eat it fried and prepped like Dr. AYALA said. the tofu really does hold plenty of water or other liquid so it must be dried quite well before frying and adding other things with it. It’s wonderful with soy and ginger and scallions. Fermentation of soya destroys or neutralises the various toxins, making soya safe to eat. It was only after this discovery, during the Chou dynasty (1134-246 BC), that soya was eaten – but always in fermented form. The first fermented soya foods were products like tempeh, natto, miso and soya sauce. The use of fermented and precipitated soya products soon spread to other parts of the Orient, notably Japan and Indonesia. depressants are reduced in quantity but not completely eliminated. 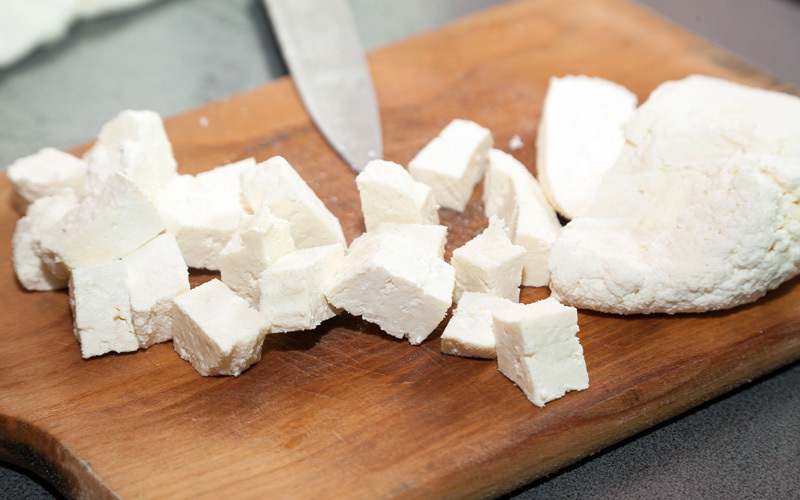 How do you feel about eating PROCESSED, unfermented TOFU. Do you avoid processed foods or do you “choose your battles”? I wrap & press, as Dr Ayala suggests, but slice into slabs first, which cuts down the pressing time. My problem with tofu is not to eat too much. Hi Everyone! Thanks for your comments. As a tofu novice myself I just go to the supermarket and look for organic, prepackaged tofu. Does that mean it’s processed? Or unfermented? I will definitely try this method. Love to order Buddah’s delight (fried tofu and veggies) from the local Chinese Restaurant — although I’m sure it’s not organic. Fresh Tofu (both the silken and the firm types sold in the supermarket) is soy milk that’s coagulated using salt or enzymes, in a process similar to the one used to make cheese from milk. The regular tofu isn’t fermented. “Soya also has a reputation of being ‘healthy’. million acres under soya. With that much to sell, soya is relatively cheap. Not surprisingly, all these low-carb junk foods from the USA contain lots of soya and many of the British ones do as well. My kids started to love firm tofu back in the early 70s. I drained it on a linen dishtowel in the dish-drainer, cut it in slices (maybe 1/4 inch thick) and sauted it in butter along with sliced onions. They would eat it as fast as I could fry it! I had to read Kath’s comments several times before it finally sank in that tofu might not be good for the body. I have just within the last year incorporated tofu and soy milk into our diet —-and just love the way I fix it. Statistically I am one of the 74% of US consumers that believed soy products were healthful. 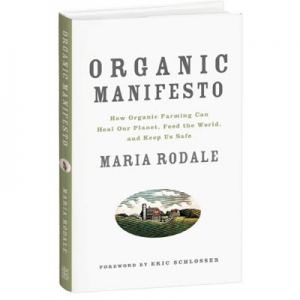 I had never heard before – as obviously Maria had not either -of the difference in fermented and unfermented soy. At first, I just didn’t want to face it. Nonetheless, I started researching more and finally am understanding that as with fluoride in toothpaste, soy protein is a left over by-product that they soy industry found a market for by advertising and intense lobbying of the FDA. I hope this comment is not too late to be helpful to others. Thank you Theresa, for your clarity and for the link about the dangers of unfermented soy products. It’s especially important for parents who think they are feeding their children well when they are actually causing them harm. And this knowledge is not easy to acquire if you’re not looking for it. I recommend the book “The Whole Soy Story” by Kaayla T. Daniel, PhD. So let me see if I understand this correctly: FERMENTED soy products (organic only!) are healthy to eat — that would include tofu, soy sauce, miso and basically the traditional Asian soy products. But UNFERMENTED soy products are not healthy to eat and would include things like textured soy protien, veggie burgers and soy snacks…? Did I get this right? Sorry Maria, tofu is NOT fermented. Maria is right that unfermented soy products are not healthy for you, especially in the volume they are consumed by many Amercans. The difficult part is that, in general, it is hard to find traditionally fermented soy products! Many manufacturers skip that part or cut corners in order to speed up the fermentation process. Next one must consider how ubiquitous soy is on our foods. If you read ALL the labels you may be shocked how pervasive soy has become. It is second only to corn in it’s insidiuosness in our modern, American diet. Tempeh, natto, miso and soya sauce are all fermented and have their positive qualities. I would avoid all other soy products, which are especially bad for women and children. See Chapter 3 “Eat Real Food” of the above mentioned book by Barry Groves for the scientific reasons.